Editor’s Note: Following our inaugural essay competition in 2016 with King’s College London’s Lau China Institute, we held a second essay competition in 2017 on the topic: “Cyber China.” Dozens of fascinating contributions poured in from young people around the world, addressing subjects from China’s cyber nationalism to the emerging online dialect in the Chinese blogosphere. Over several rounds of judging, Chiu Wan’s observation of the impact of e-commerce on a rural village in Fujian proved incisively written, passionately researched, and unique in its scope. This is a remarkable essay which captures a wider story of the gender norms, rural-urban divide and digital economy characteristic of modern-day China—one which we are honoured to share with the YCW network. Our warmest congratulations to you, Chiu Wan! An office established by the local village head, available to rent by local online sellers at discounted fees. Photo taken by the author in 2016. 第四，女性思考问题比较周全和细腻 (Women are attentive and detail-oriented). 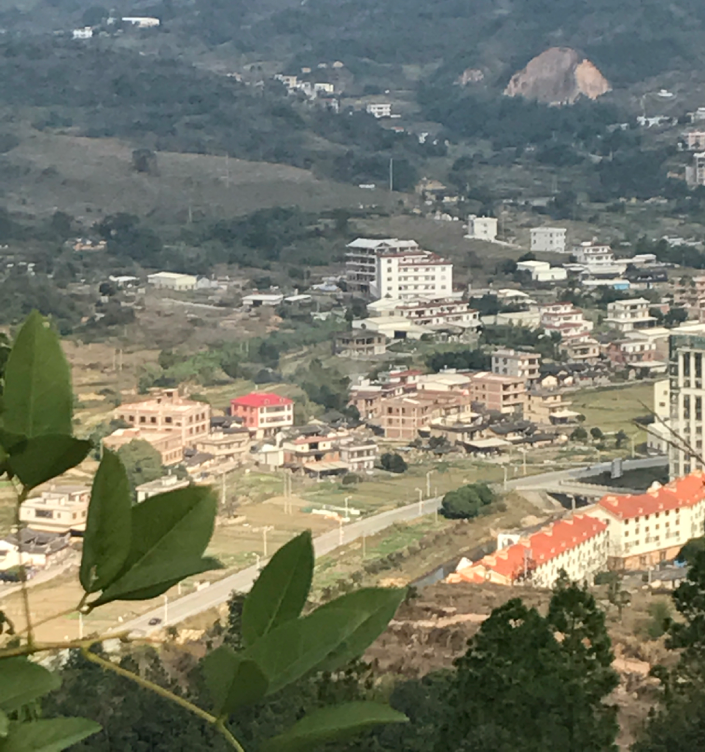 Among more than 1,000 Taobao villages across China as of 2016,[iv] I choose to conduct an ethnographic study lasting 10 months in a Taobao village in Southern Fujian because this village has started developing e-commerce since 2008 and has accommodated a furniture manufacturing industry since the late 1970s. 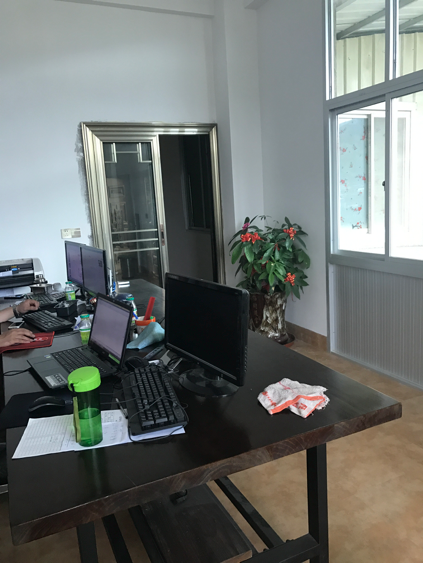 I stayed in the village during fall 2016 and summer 2017 and observed the ways in which e-commerce has transformed the lives of local villagers profoundly. My research consists of household surveys, participant observation with 14 local families engaging in online businesses, and in-depth interviews with 63 informants, including 7 life history interviews. I spent time joining social gatherings, family events, and training sessions regarding running e-businesses with my informants in order to gain ‘insider views’ on the ways in which e-commerce has reshaped their social and economic relations with community members. Qianning is a mountain village in southern Fujian. Photo taken by author in 2016. A local ancestral hall in Qianning, a patrilineal lineage-based village. Photo taken by author in 2017. According to previous studies on rural China, the patriarchal system has been grounded on a set of hierarchical relationships—senior men hold the most superior position, followed by senior women and young men, and young women are placed at the bottom of power hierarchies. [v] Clearly, this system is fueled by gender-and-age-based power dynamics, with men superior to women and senior persons having authority over youngsters. Drawing on my ethnographic data, I discover that this rural patriarchy has been structurally undermined by the widespread practice of family-centered online business making in Qianning, with young women and men supplanting senior men as dominant breadwinners of Taobao families. In Qianning, the operation of e-commerce is grounded on the form of the family firm. 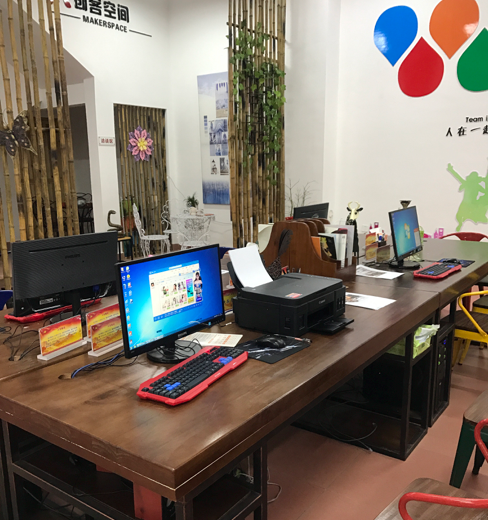 Echoing with studies on other Taobao villages of China, in Qianning, web-based entrepreneurial activities are largely reliant upon resources of descent groups, including family staff, land and funds. [vi] In Qianning, it is mostly young people who first learn skills of opening online shops on the Taobao marketplace and then turn the whole family into a manufacturing workshop. The division of labor of Taobao families is age-based, with young men and women taking online business orders, old men manufacturing components of furniture, and old women wrapping and encasing products shipped to customers. 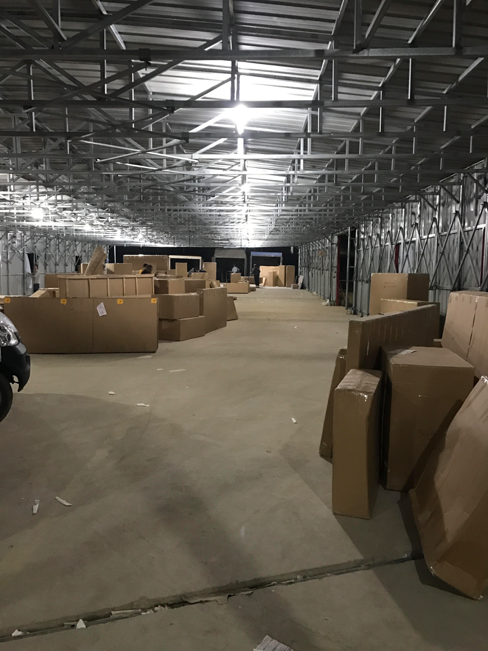 In terms of the spatial structure of Taobao families, many have transformed the antechamber into the workplace for stocking finished furniture, and have turned the backyard into workshops manufacturing iron structures of furniture. [vii] Computers are normally placed in the dining or living room. In Qianning, around 250 households own 1,150 online shops on Taobao; the annual turnover generated by online transactions of furniture items achieved over RMB 0.2 billion in 2016. As can be seen in Table 1, the local supply chain of furniture products is composed of 7 export-oriented furniture companies, 25 wooden boards manufacturing factories, 50 to 60 workshops centered on making iron structures of furniture, 5 workshops producing paper boxes, one workshop supplying bubble plastic wrap and Styrofoam for properly wrapping sold items, 5 spray bake painting factories, and 8 branches of logistics companies. The other table illustrates workers centered on wrapping products in local factories obtain the lowest level of payment, while employees taking in charge of the display advertising of online shops has the highest payments. In a family firm, the young couple shares the profits of online shops after they pay their parents(-in-law) according to the level of wage payments in the local factories. Source: Household surveys conducted by author. With a well-established industry base of bamboo weaves and furniture,[viii] since the mid-2000s Qianning has embarked on its journey becoming an e-commerce village. The majority of enterprise owners in Qianning decided to develop the domestic market with the advent of the Taobao marketplace starting from 2008. With more and more villagers trading furniture items online, Qianning has successfully transformed from a poor village listed in the national poverty reduction program to a Taobao village with annual online transaction exceeding RMB 0.2 billion. In 2008, the pioneer of online sellers Ching learned the idea of making a livelihood by selling items via Taobao platform as he worked in Xiamen. Having experienced a series of trial and error in relation to display advertising, he has started generating considerable income and eventually becomes a joint-owner of local branches of national logistics companies. According to my findings, the rise of e-retailing industry in Qianning village has brought about socioeconomic changes in terms of numerous dimensions. To begin with, the individual income has grown in ten times. Many young informants earned RMB 3,000 monthly as assembly line workers in factories in cosmopolitan cities in the eastern coastal areas, whereas now monthly turnovers of their online shops are up to RMB 100,000 during busy seasons, with profit rates at 20 to 30 percent. A showroom of furniture samples in a local company in Qianning. Photo taken by author in 2017. The village logistics centre jointly run by Ching and his village friend. Photo taken by author in 2016. To cite an example, in Qianning, in the 1990s some villagers used to operate factories manufacturing furniture pieces and trade these products to foreign buyers, while few of them managed to sustain their businesses due to the lack of proper legal and institutional infrastructure of intergenerational trade between China and other countries. An informant Wong used to run a factory as such, but he ended up declaring bankruptcy in the mid-1990s because a foreign trader did not make the payment for the business order costing Wong RMB 0.95 million. Wong’s bankruptcy rendered his family pressured to toil to pay the debts to the local suppliers and former workers in the factory. In 2015, Wong finally finished paying his debts and thereafter his son has started running online shops. 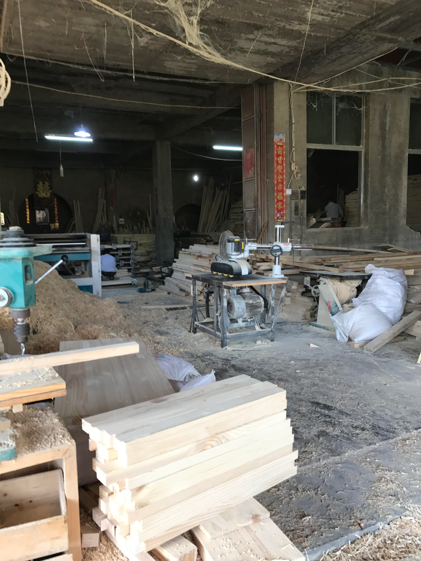 Now Wong owns a workshop manufacturing wooden boards taking business orders from his son and other local online sellers. According to Wong, he feels that the e-commerce platform enables them to engage in the businesses with lower risk than trading with foreign buyers because they can receive payments from buyers as they confirm receiving the products. 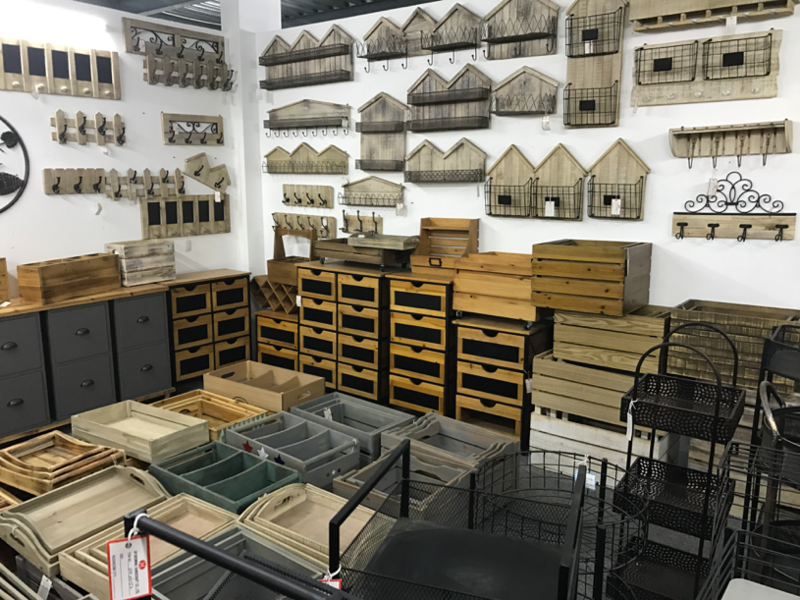 Wong manufactures wooden boards next to his house. Photo taken by author in 2016. The home office of Wong’s son. Photo taken by author in 2016. On an institutional level, the weakening patriarchy manifests in the rising status of women as daughters-in-law and as wives in their marital families. In regard to the less hierarchical relationship between a married woman and her parents-in-law, in the fourteen families with which I have researched, as their husbands, young women hold power over their parents-in-law as to how much salaries they can obtain, when they should work for family businesses, and what kind of work they need to do. In the majority of conventional family firms in southern China, it is senior men who own authority over other family members and daughters-in-law who undertake unpaid laborious tasks for the family businesses. The reversed power structure in family firms is a consequential development of e-commerce economy. Indeed, compared to the older generation, youngsters are more tech-savvy and are more capable of acquiring useful information about changing regulations of the online marketplace from their peers. 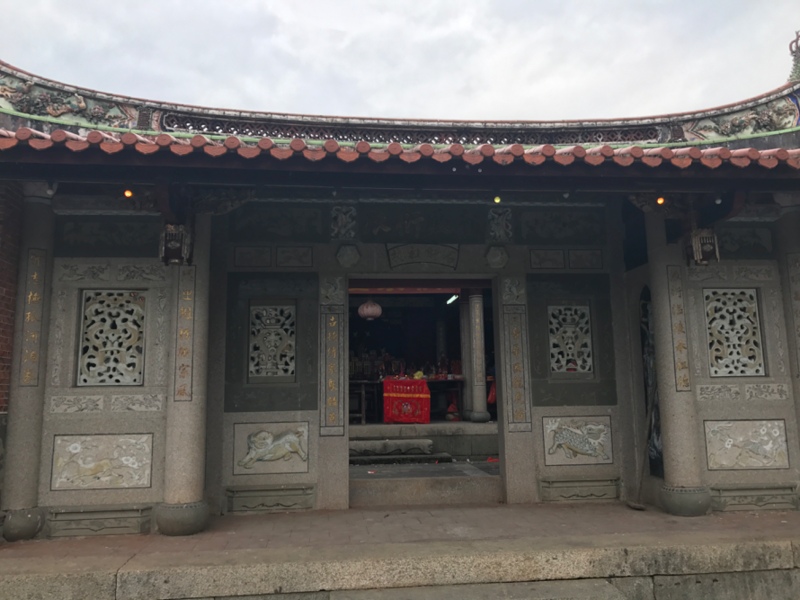 To cite an example, a female villager Ren establishes work relations with her father-in-law who manufactures iron structures of furniture for her customers, and with her mother-in-law who wraps and encases products. One time she berated her father-in-law for producing products with low quality which cost her money and bad rating of her shop. In a similar vein, her mother-in-law allows her to be exempted from undertaking domestic chores because of her role of the economic contributor to the family. As regards how e-commerce has facilitated more egalitarian marital relationships, I discover that engaging in family online businesses enables young women to have an equal say as their husbands in family finances, and allows for young men to experience what it means to share power with their wives in decision-making. In the 1990s the dominant industry in the village consisted of numerous export-oriented companies and hundreds of individual contractors of iron structures of furniture. This manufactural industry was in favor of male laborers who had plots of lands for building workshops and owned skills of manufacturing iron pieces. In contrast, women were weavers of wicker crafts with low payments or worked for their husbands without wage payments. Therefore, in the 1990s, villagers may perceive husbands as de jure and de facto heads of households who had dominant decision-making power and substantial control over their wives and children. Women had to constantly ask for allowances from their husbands and felt powerless about their economic dependence. Now, the societal perception of the gendered hierarchical relationship between husbands and wives may have shifted alongside the wider practice of family-centered online business running. As their husbands, female online sellers have access to the joint business Ali-pay accounts, have equal say in the decision-making of business-related affairs, and are equally capable of boosting sales and mobilizing kin to help wrap products. Experiencing this development, now villagers may view young husbands and wives as equal breadwinners and decision-makers in their marriages, although men still take the position of nominal heads of households. Notwithstanding that e-commerce plays a crucial role in disentangling women from gender and gerontocratic order in patriarchal families, the conglomeration of manufacturing workshops within the village scope around online businesses unavoidably gives rise to environmental degradation, and wilder collective practices of drinking as well as profligate consumption. During my stay, I experienced living in a place where dust and ash billowed from spray bake painting factories daily. The mélange of living space and manufacturing workshop also renders home of my informants potentially uninhabitable. Areas of keeping domestic fowls are adjacent to factories emitting filthy smoke. One time I saw a toddler picked up remains of Styrofoam on the floor and ate them as adults were occupied by wrapping products. In addition, an unfortunate accident occurred in April 2017. A fire quickly engulfed a local large factory after the fire started because the workplace was full of ashes derived from polishing wooden boards and spray painting iron structures, and sadly the nearest squad of firefighters took 40 minutes to arrive at the scene. This accident urged villagers to reflect and react upon the fact that the village accommodating dozens of factories and workshops with inflammable substances did not own a squad of firefighters, so the squad had to rush all the way from the county and yet still missed the best timing of extinguishing fires effectively. Had the local officials noticed this lack of essential infrastructure and fixed this problem in time, the fire would have been managed. Nevertheless, in the aftermath of this fire, the village and township party cadres launched a series of raids against factories and workshops and shut down the entities without facilities of fire security. The fire destroyed the factory with more than 1,000 square metres. Photo taken by author in 2017. Another alarming phenomenon is that many young villagers have been living extravagant lives including driving luxurious cars, drinking expensive wine, engaging in online gambling, and treating friends to hotel bars. These young men possess the strong desire to pursue modernity by engaging in conspicuous consumption. Some of the young villagers like Dong and Tseng used to deal with their senses of frustration by gambling after their shops were temporarily shut down by Taobao for violating regulations. The acts of Dong and Tseng rendered their family members pressurized by debts. Since they borrowed the ID cards of their family members to set up multiple Taobao accounts, the credit of the Taobao accounts associated with their family members were downgraded for not paying the loans on time. Eventually, they decided to withdraw from their family businesses and let their wives run online shops independently, and they found paid jobs in larger companies as workers who promoted sales of online shops. These two examples illustrate that the experiences of operating family businesses enable Dong and Tseng to have second chances in their career after they lost wealth due to gambling. My ethnography takes a step forward from this account echoing with gender determinism, and asserts that it is essential to analyze the emancipatory effect of e-commerce taking account the interplay between cyberspace and the real world politics. In other words, how Internet-based technologies empower Chinese rural women is mediated through how the e-retailing industry shapes the relationships between female online sellers and their husbands and parents-in-law. In engaging in online businesses, young women in the Taobao village wisely deploy networking resources composed of their cooperative relationships with suppliers of components of furniture items, their friendship with other female online sellers with whom they exchange information and knowhow, to consolidate their power in marital relationships. In a broader sense, for rural residents, to date trading products online is the most effective way of curing deleterious consequences of asymmetrical development of China’s urban and rural areas. The Internet has provided low-cost, low-risk start-up, and nation-wide accessibility of reaching customers, coupled with the flexibility that allows online sellers to work with family members. However, this mode of grassroots entrepreneurship may not be sustainable without visionary financial and environmental policies at place. Chiu Wan Liu is a PhD candidate at the Centre for Gender Studies, SOAS, University of London, where she studies how e-commerce facilitates shifts of gender norms in southern China. Her PhD project also analyzes how the boom of the e-tailing industry in rural China reconfigures family relations. [ii] I am obliged to conceal the names of field site and informants because my research entails collecting private and personal data. [v] Liu, Jieyu (2016a), Becoming ‘White-Collar Beauties’ in Urban China. Palgrave Macmillan, London. available at https://link.springer.com/chapter/10.1057/978-1-137-50575-0_2 [25 November 2017]. [vi] Alibaba Group (2015), Taobao Villages in China. Beijing: Publishing House of Electronics Industry. Li, Boyi (2014), Regional Clustering through Internet Networks: The Case of Web-Enabled Entrepreneurial Cluster in China. available at http://etheses.lse.ac.uk/1041/ [1 June 2016]. Lu, Zhang, Yihui, Zhang, Wang, Shen and Dong, Guanqi (2015), Micro Characteristics and Problems Reflected in the Development of Peasant E-Businessman: A Case Study on an Alibaba’s E-Business Town in Fujian, China (In Chinese), 34(12): 139–145. [viii] In August 1971, an agriculture machine factory affiliated to the People’s Commune of the township was founded. In the beginning, the factory was producing bamboo woven container for thermos bottles. With an increase of production, in 1972 the first wicker craft factory was established in the township. [x] Castells, Manuel (1996), The Rise of the Network Society. Cambridge: Blackwell Publishers. [xi] The Economist (2013), The Alibaba Phenomenon. The Economist. available at http://www.economist.com/news/leaders/21573981-chinas-e-commerce-giant-could-generate-enormous-wealthprovided-countrys-rulers-leave-it [13 October 2015]. [xii] Xie, Li-Hua (1999), The Report on the High Suicide Rate among Chinese Rural Women (in Chinese). Guizhou: Guizhou People Publication. [xiii] Plant, Sadie (1998), Zeros and Ones: Digital Women and the New Technoculture. London: Fourth Estate. Plant, Sadie (1998), Zeros and Ones: Digital Women and the New Technoculture. London: Fourth Estate. Haraway, Donna (1987), A Manifesto for Cyborgs: Science, Technology, and Socialist Feminism in the 1980s. Australian Feminist Studies, 2(4): 1–42.